The opening games of 2020 UEFA European Championship qualifying begin on Thursday, with the continent's biggest nations ready to feature. Defending champions Portugal are set to host Ukraine in Group B on Friday, with Cristiano Ronaldo back in the squad for the first time since the 2018 FIFA World Cup. The forward was omitted from squads after allegations from American woman Kathryn Mayorga that he raped her in a Las Vegas hotel room in 2009 resurfaced in September. Ronaldo has denied the allegations, but Las Vegas police are still investigating the case. Elsewhere in Europe, Belgium face Russia on Thursday, and England welcome the Czech Republic to Wembley Stadium on Friday. Spain and Italy also feature on Matchday 1 against Norway and Finland, respectively, on Saturday. Matches will feature on Sky Sports via the red button in the UK and ESPN and Univision in the United States. England vs. Czech Republic will be broadcast on ITV in the UK. Live-stream links: Sky Go, ITV Hub, WatchESPN, Univision NOW. Portugal and Ronaldo pulled off a huge shock at the Euros four years ago, but the field is stronger as the latest edition of the competition begins. 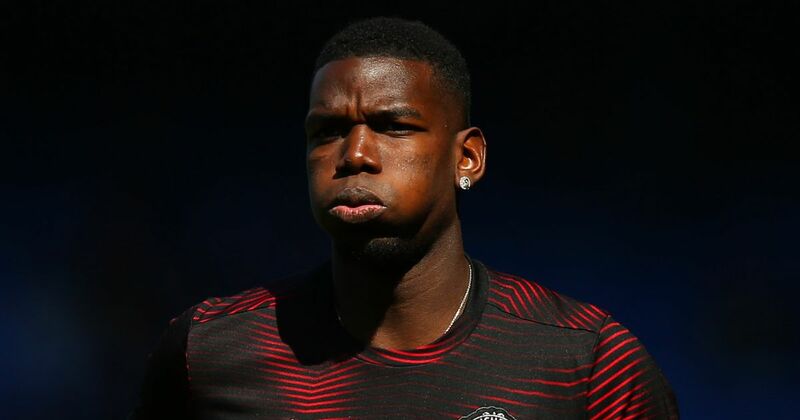 France have since been crowned world champions after their exceptional performance at Russia 2018, and Paul Pogba has rediscovered his best form in a Manchester United shirt. However, it is Belgium who now lead the way in FIFA's world rankings, and the Red Devils will be expected to coast through qualification in Group I against Russia, Scotland, Kazakhstan, Cyprus and San Marino. Eight of the top 10 teams in the world are now from Europe, with the continent dominant after no South American nation progressed past the quarter-finals at the World Cup. Croatia were the surprise package last summer as they fought their way to the final. England were the other European side who bucked the trend at the World Cup, falling to the Croatians in the semi-final, but the presence of Harry Kane will give the Three Lions the firepower to blast their way through the group phase against Bulgaria, Kosovo, Montenegro and the Czech Republic. The Tottenham Hotspur forward was top scorer with six goals in Russia. The old guard of Spain and Italy will be expected to better their recent competitive performances, and both nations should prevail in the opening qualifying stage. Italy failed to qualify for the World Cup for the first time since 1958, while Spain were disappointingly eliminated on penalties in the round of 16 by host nation Russia despite being among the pre-tournament favourites. Spain are in Group F along with Sweden, Romania, Malta, Norway and the Faroe Islands, while Greece, Bosnia and Herzegovina, Finland, Armenia and Liechtenstein join Italy in Group J.